I was taking shots of Momohime and decided to try to produce an old-fashioned sepia-toned image for kicks. I started with this tutorial (for GIMP) and found that I actually liked the results of blending the sepia and the original color image better than the standard monochrome version. What you see here is the result. 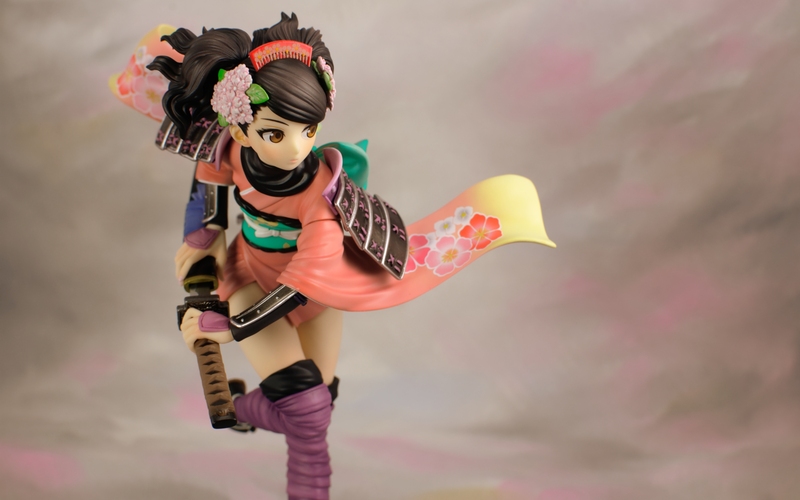 This entry was posted in Figures, Wallpapers and tagged 1/8 scale, Alter, Momohime, Muramasa: The Demon Blade. Bookmark the permalink.